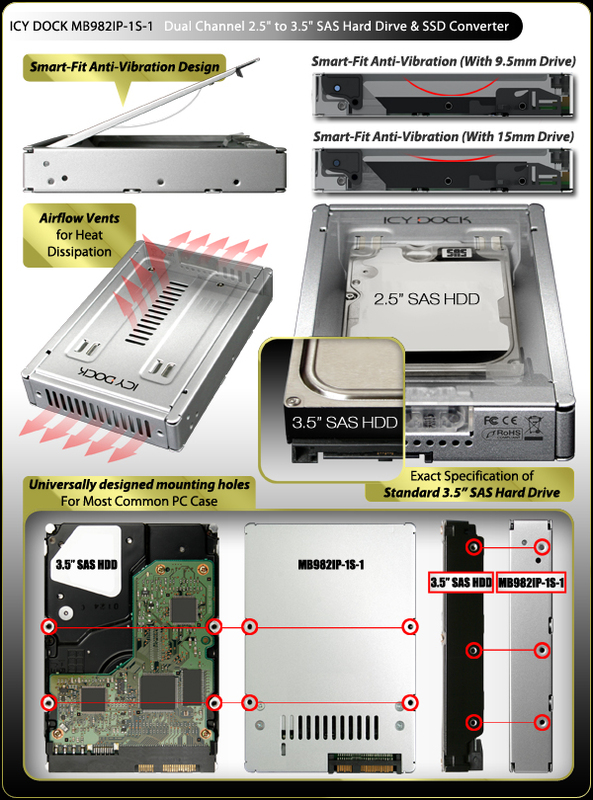 * Converts your 2.5" SATA/SAS HDD or SSD to a 3.5" SAS HDD or SSD, for 3.5" SAS drive bay usage. * Compatible with Most 3.5" SAS HDD Backplanes, Rackmounts and Hot Swap Devices. * Designed for System Integrators and IT Professionals.